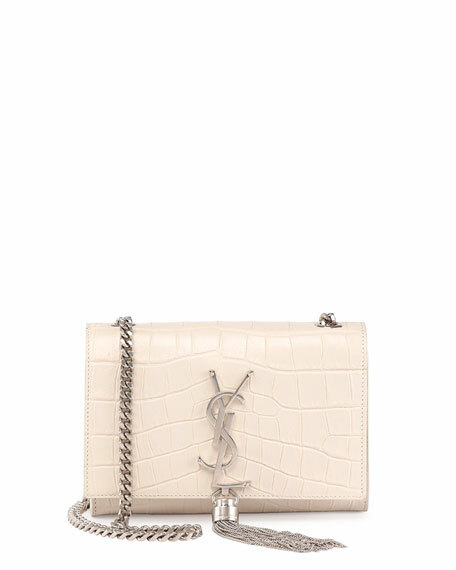 Saint Laurent croc-embossed leather shoulder bag. Gunmetal curb chain strap can be worn doubled; 21.3" drop. Flap top with YSL logo tassel; magnetic snap. 4.5"H x 6.7"W x 1.8"D.
For in-store inquiries, use sku #1696970.